Legend - Diana Yacht Design B.V.
Motor yacht Legend was announced the best superyacht in the Rebuild category at the World Superyacht Awards in 2017. 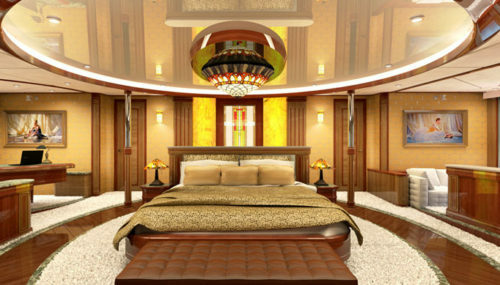 Her sturdy and bold lines give her a stunning look, she is a well equipped go-anywhere anytime yacht. Motor yacht Legend was announced the best superyacht in the Rebuild category at the World Superyacht Awards in 2017. Her sturdy and bold lines give her a stunning look, she is a perfectly equipped go-anywhere anytime yacht. 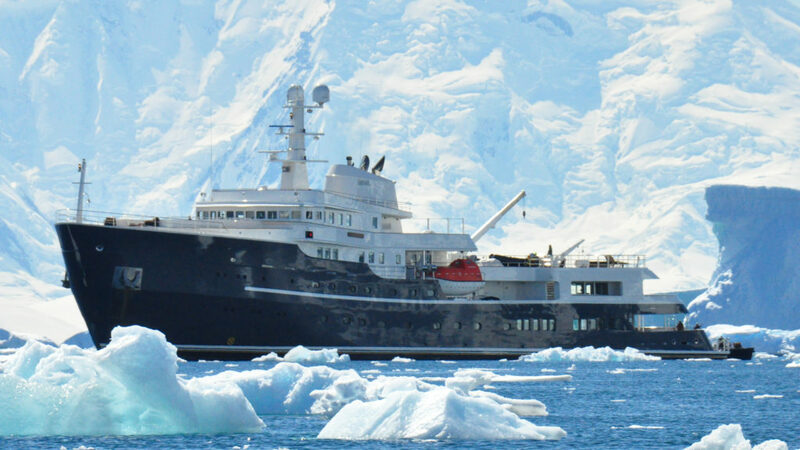 Legend is a fully classified Class 1 icebreaking ship, converted into a superb charter yacht, capable of carrying 30 guests, without losing her safety and strength as an icebreaker. The vessel was originally built to the highest specifications by the IHC Holland shipyard. Alongside the completion of the technical and system upgrades of this magnificent Icebreaker, extensive modifications to her exterior were made. The stern was extended by 3.6 metres and equipped with a swim platform and a swimming pool. The helicopter landing pad is commercially certified and a submarine is stored in a garage on the forward deck. The project was managed by Verkerk Yachting Projects, The design and the engineering were performed by DIANA Yacht Design and she is fully Lloyds certified (Solas passenger yacht 30 pax ). 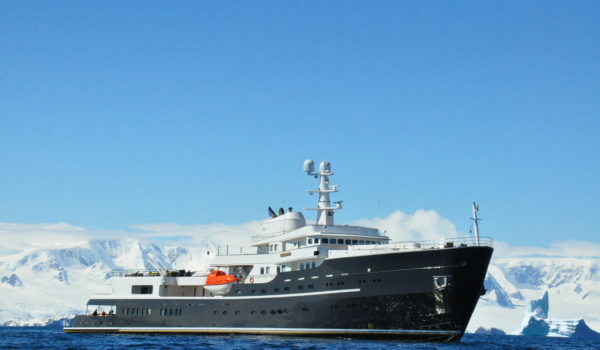 Legend can be used for adventurous charters in the remote areas of the world, such as Antarctica, Greenland and the North Pole. For charter inquiries please contact Verkerk Yachting, legend@charteryacht.nl or office@sherakhan.com.